Welcome to the 22nd Special Issue of the SHAPE Journal and the third installment in our series of issues on Marxist Philosophy. This set of papers was originally published on the Shape Blog under the title Why Socialism? It was written as an multi-part introduction to the topic and became a very popular series on that site, vastly increasing its visitor numbers during the period. Clearly many questions were still needing answers, for in spite of a long and illustrious history since the original publication of the Communist Manifesto by Marx and Engels in 1848, Socialism has accrued countless failures and even betrayals. Yet its central tenets are as true today as when they were first written down in that document, well over 150 years ago. The position was not like that of the Utopian Socialists, but was based upon a materialist philosophic standpoint - a meeting of German philosophy, English political economics and French social history. It was, and is, a magnificent amalgam, founded upon the necessary processes of social revolution, to finally dismantle old class regimes and liberate the masses. Yet, only in a few places was this possible, where the working class was in a position to carry through a revolution by itself. In most cases the only possible route to a successful uprising was via an alliance of classes, including both the peasantry and often a large slice of the as-yet unliberated middle class. The problem was always what would happen once the repressive regime had been vanquished. Could the task of establishing Socialism be straightforward, or would the classes of this revolutionary alliance break apart and begin to work for their own dominance? The answer to such questions has been produced time and again by history, in Russia, Germany, China and right up to the present day with the avalanche of revolutions precipitated by the Arab Spring. 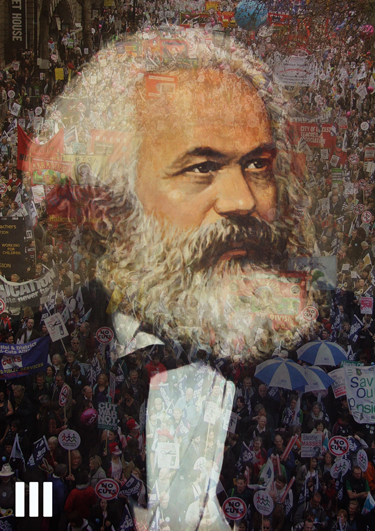 Socialism grounded in solid Marxist theory is needed now more than ever, as Capitalism faulters and people across the globe take to the streets in their millions. Let this collection of essays on Democracy, Economics and Revolution, by a life-long Marxist, help with the problems of this, the most widespread unrest since the Europe-wide Year of Revolutions in 1848.